Ofcom outlines plans for the future of digital terrestrial TV | What Hi-Fi? Households across Britain will continue to be able to access to free-to-view TV services without the need for another "switchover" under new proposals laid out by Ofcom. The regulator has published its plans to safeguard the future of digital terrestrial TV that will also ensure the UK is able to meet its increasing demand for mobile broadband. According to Ofcom, one of the challenges going forward will be the 'careful' management of the limited supply of spectrum – our wireless infrastructure – to secure future supply. 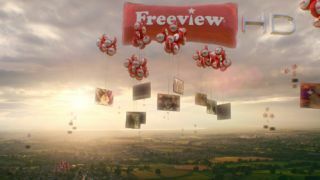 With demand for mobile data expected to increase to 45 times the current level by 2030, plans to change some of the frequencies used by services like Freeview have been drawn up. Ofcom says that digital terrestrial TV services will retain their "vital role in providing viewers with low-cost, near-universal access", as well as on-demand and high-definition services. And the regulator has insisted that releasing frequencies for mobile broadband can be achieved without the need for a TV switchover, rather a "simple retune" of existing equipment. However, it did concede that a "very small minority of households" – around 0.5 per cent – might need to change their rooftop aerials. If so, it won't be necessary until 2019. MORE: 'Freeview Connect' to deliver catch-up TV through smart TVs? Ofcom is hoping its plans will help mobile network operators cater for the burgeoning demand to access 4G data on smartphones, tablets – and "next generation mobile services". It's thought the proposals could, therefore, lead to lower prices and faster speeds for businesses and consumers alike, which will have a subsequent positive impact on the economy. Ofcom chief executive Ed Richards said: "Our plans will allow digital terrestrial TV to thrive, while ensuring the UK’s mobile infrastructure can support consumer demand and economic growth." Plans for the potential release of the 700 MHz band, the Future of free to view TV and the Mobile data strategy statement are available to view through the Ofcom website.